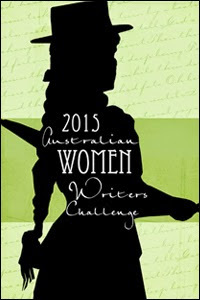 Alex Hammond’s cracking 2013 debut Blood Witness was shortlisted for a Ned Kelly Award for Best First Book. The Unbroken Line more than delivers on the promise of the first, a taut and intelligent thriller that poses big questions about legality, morality, privilege and justice without sacrificing pace or suspense. Melbourne lawyer Will Harris is still recovering from injuries sustained at the end of Blood Witness, when he and his lover Eva are attached by masked men in the Burnley Tunnel. Eva is injured and Will is given a clear message to back off. It is a measure of the messiness of his professional life that he’s unsure who’s sending the message. Could it be the Bosnian crime family to whom he is unwillingly indebted? His problems only increase when he is called before the Legal Commission to answer for his behaviour in relation to what the Commissioner refers to as ‘the grey trade in information that goes on with the justice system’ and a ‘pervasive culture of exploited privilege’. Will’s efforts to establish just how pervasive, not to mention deadly, this culture of exploited privilege is, forms one of the novel’s key plot strands. Meanwhile, Will’s partner in their fledgling law firm, Chris Miller, seems to be more interested in hanging out with footballers and their pole dancing hangers-on (no pun intended) than he is in shoring up the business. Out of obstinacy as much as anything, Will agrees to look into a case involving the son of a judge, a family friend, who is accused of bullying a classmate to suicide. Connections among these various plot strands emerge that are surprising, but entirely credible. And while The Unbroken Line might be classified as a legal thriller, it reads more like hard-boiled crime: there’s not a courtroom drama to be found. Will Harris is a convincing character, someone who believes in legal principles but is not above making moral compromises in order for justice to be served. He is a boxer, both literally and metaphorically, a bare-knuckled fighter — I did wonder at times how much more beating his body could take — and not what you’d call a team player. 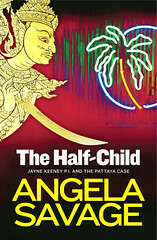 Whether this changes in the course of the series — the sequel is tantalisingly flagged — remains to be seen. The sense of place in the novel is vivid, making Melbourne seem like a character in its own right. Hammond’s Melbourne is multicultural and multifaceted, a place that smiles on some and snarls at others. And a set piece involving the Melbourne Cup is sensational! It’s my pleasure and privilege to be in conversation with Alex Hammond about The Unbroken Line at Readings Carlton on Thurs 16 July. The event is free, but please book here to join in the discussion. 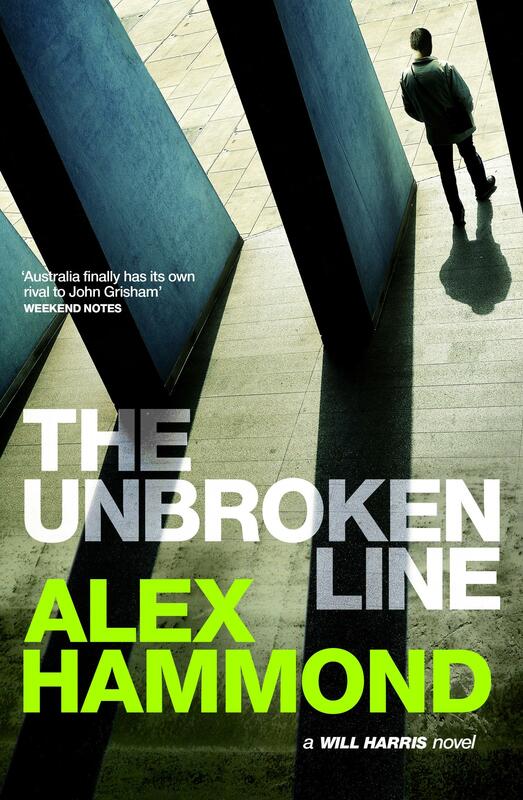 The Unbroken Line (2014) by Alex Hammond is published by Penguin. 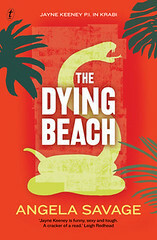 This entry was posted in Uncategorized and tagged Alex Hammond, Australian crime fiction, book review, The Unbroken Line. Bookmark the permalink. Oh, I’ve heard of Hammond’s work, Angela, and you’re not the first to praise it highly. I’m very glad this novel lives up to the promise of the first. 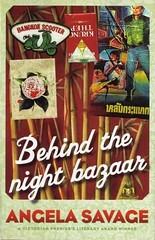 And Readings Carlton sounds like a great upcoming event. I’m sure it’ll be fabulous. I’ve just started this so have only skimmed your review – am only 30 or so pages in and at the moment am feeling a bit miffed because it seems I am meant to know what has gone on in the previous book which I haven’t read. I always get annoyed at the expectations of authors that I’ve read their every word. So far it reminds me of the TV series RAKE – which I didn’t much like. But I shall persevere. I’m glad you persevered, Bernadette! I liked your review.